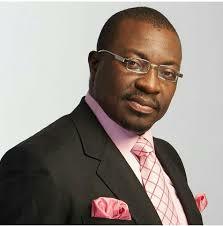 Popular Nigerian Comedian, Ali Baba has reacted to the resignation of former Minister of Finance, Kemi Adeosun. Ali Baba in a post on his Instagram page said Adeosun did not resign because of NYSC certificate. According to him, Adeosun resigned because she refused to ‘play ball’ with some people who need access to federal funds. He wrote: “I have talked with some people in the corridors of power. The certificate is not the real reason she resigned. It’s the reason given. It’s election year. Just like now, there are people who want access to certain federal funds, that only she has access to and she will not play ball. “The best way is to discredit her, and put her out of the office, and by that move now let someone who will dance to their tune. It’s election season. “Many people are getting the Kemi Adeosun NYSC matter wrong. She did not claim to have served. She came back to Nigeria when she had passed the age to serve. She was then advised to get a certificate of exemption. She did not think it was necessary because clearly she had passed the age. “Then someone advised her to get it. Someone said, since she did not serve, because she was over the age to serve, all she needed was the certificate of exemption. They went and got it for her. The person who did, should have gotten her a legit one. She didn’t need to be present to get an exemption. “So, it’s not that she claimed to have served and was issued a certificate for service she did not render. Many people have insurance cover and driving licence that they did not go through a proper driving test to get.